Social Guidance Sunday’s Halloween Edition is an Educational Scream! On the Eve of All Hallows’ Eve, the Social Guidance Sunday team brings you films about safety, Halloween and haunted happenings in October’s program, “Educational Scream!” The 16mm films featured this month are primarily from the 1970s when there was a lot to be scared about – inappropriate, white supremacist costumes, clowns, and not being consumed by the media… but that was all in the past! “Educational Scream!” has two very special guest programmers, Professor Joan Hawkins and doctoral student, Alex Svensson. Professor Hawkins is an Associate Professor of Cinema and Media Studies in the Media School at IU. She has been a passionate fan of horror since she first saw James Whales’s “Frankenstein,” when she was 9 years old. Her scholarship and pedagogy feature horror and the avant-garde and her best-known book is Cutting Edge: Art Horror and the Horrific Avant-garde. She is currently working on book on independent horror. Outside of the classroom, Professor Hawkins has appeared in horror films as well: a cameo in the film “Headless” (Arthur Culipher, 2015) and a starring role in a student film about a Satanic faculty cabal. Alex Svensson is a PhD student and Instructor at IU Bloomington, and his research focuses on both the advertising of horror and the horrors of advertising. He has published work about eerie movie trailers and haunted mobile apps, and will hunt for horror VHS tapes with you any day of the week! As experts in horror and experimental filmmaking Alex and Prof. Hawkins will have plenty of fun nuggets of information for you to consume while you enjoy these films. Come in costume for a costume contest during intermission and bring your sweet tooth as there will be plenty of treats to eat! In the mansion, there was a staircase, and up the staircase, there was a room, and in the room, there was a chair that moved on its own!! The film line-up begins with a haunted house, reminiscent of Disney’s Haunted Mansion. 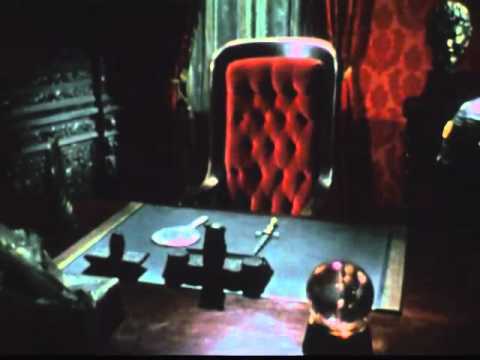 Filmed from first-person point of view, you will explore the haunted house in Haunted Mouth (1974) and encounter B. Plaque, a ghost-like figure with the laugh of the Joker (a la Batman ) that will teach you that near-invisible things can still be quite scary! Just when you thought trips to the dentist couldn’t get any worse, we bring you the scary film, Toothache of the Clown (1972). After eating too many treats and nursing his toothache with lollipops and sweets, a clown falls into a nightmarish, perhaps nitrous-oxide induced trance that gets him to see the need for proper dental hygiene. You’ll be astounded by the transformation of this witch into a safety-conscious princess! 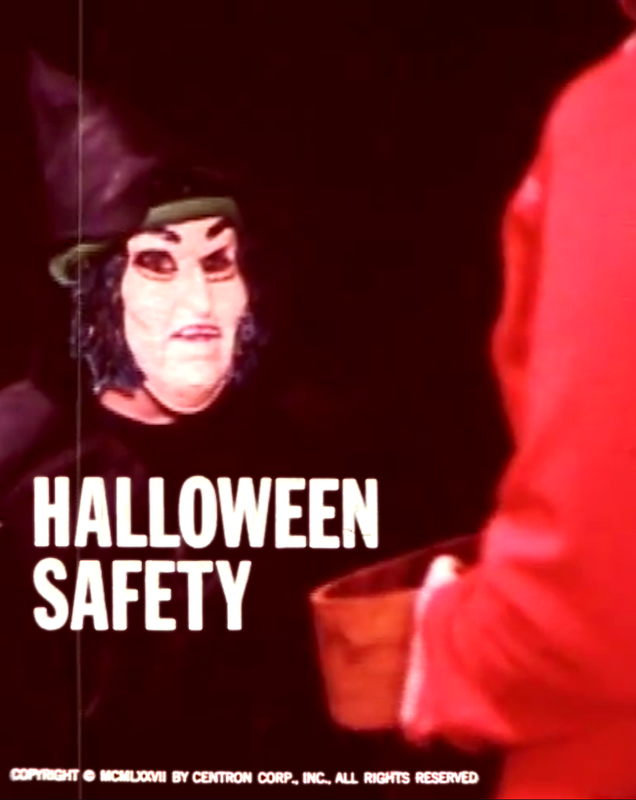 Social Guidance Sunday cares about your wellbeing, so along with dental care, we will next share tips and tricks for costumes and trick-or-treating in the film Halloween Safety (1977). Although you may think you know how to create a proper Halloween costume, this film will provide you with alternatives that will make you reconsider your costume choices. Additionally, this film shares some quality jokes you can use while you are out collecting treats! 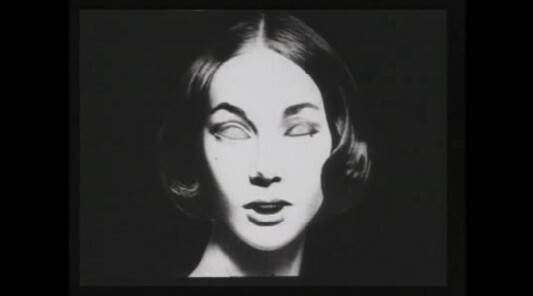 Breath Death (1964) an experimental film by Stan VanDerBeek will make you re-evaluate your life and marvel at death. After a short intermission, our program shifts gears from safety tips and tricks to more surreal yet silly Halloween-type films. First, there is Breath Death (1964), an experimental film directed by Stan VanDerBeek featuring skeleton animations performing the Dance of Death to a rather catchy tune. Dedicated to the silent film greats, Charlie Chaplin and Buster Keaton, this film explores the somber topics of death and destruction in a surrealistic, fantastical way. Following this, we present Recorded Live (1975), a silly film that was written and directed by S.S. Wilson who went on to direct Tremors (1990), Wild Wild West (1999), Tremors II: Aftershocks (1996). This partially stop-motion animation was featured on HBO’s “Short Takes” between feature films in the 70s and 80s. It is a funny, all-consuming film! Finally, we conclude “Educational Scream” with the 1977 film The House of Accidents. This is a particularly delightful film that adopts a rather unusual approach to household safety. Featuring Count Accident and his family, we learn about all the ways one can create an unsafe environment that can lead to all sorts of hazards. This is a crowd pleasing film with activities that are fun for the whole family! So please join us for what is sure to be a fun, if a little frightening, Social Guidance Sunday! And make sure to follow us on Facebook for the next SGS program on December 4th. At the Indiana University Libraries’ Moving Image Archive staff members have spent the last two summers unpacking and processing 20+ pallets of audio-visual and paper materials from the Agency for Instructional Technology (AIT), formerly located here in Bloomington, IN. The process has included identifying and inventorying material in preparation for digitization and cataloguing. The handling of AIT’s materials has provided its own unique educational instruction in media formats from the past century with all variety of audio-visual materials including: 16mm and 35mm film, Hi8, DVCAM, MiniDV, U-matic tape, 1″ reel-to-reel tape, BetaCam and BetaCam SP, VHS, Digital Audio Tape (DAT), and more. 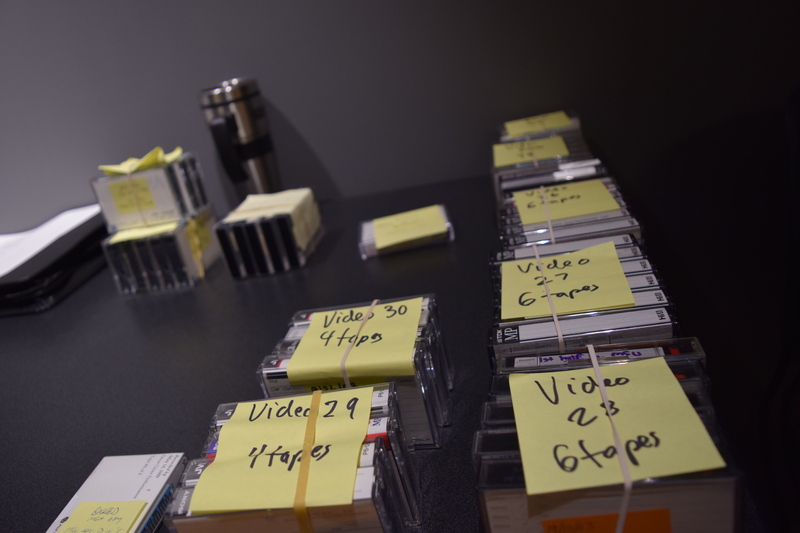 The final count yielded approximately 18,000 audio and video items on over twenty-three different formats! You’ll hear more about the digitization process of these materials over the next few weeks on the Moving Image Archive’s blog. 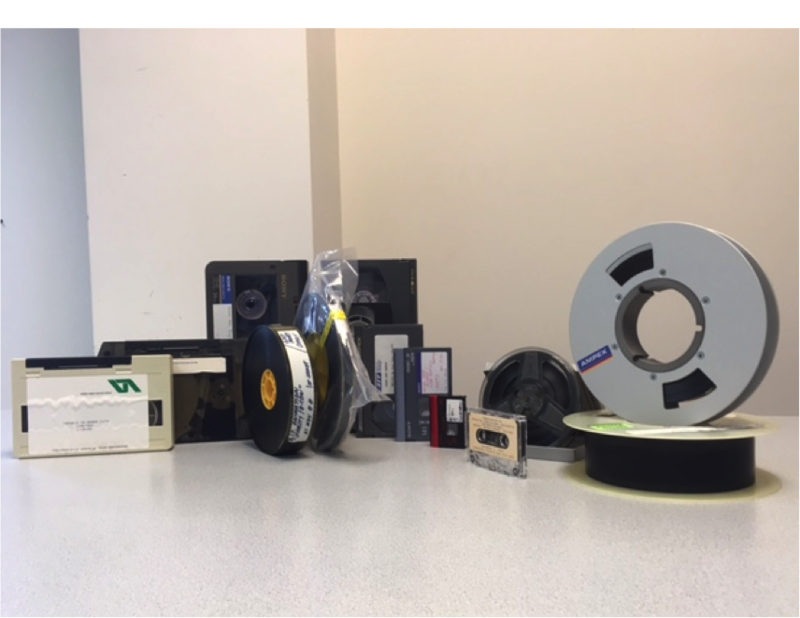 Decades of audio and video formats from AIT’s collection, some of which are now being digitized by MDPI. 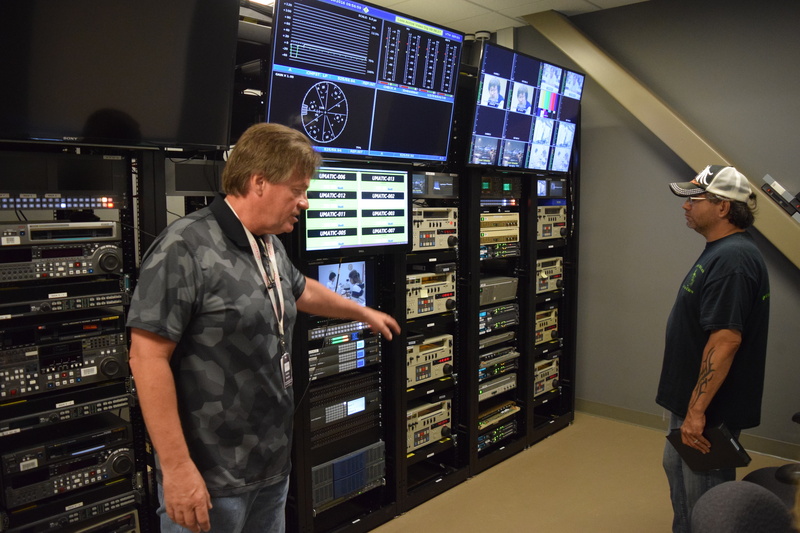 Originally founded in 1962 as the National Instructional Television Library (NITL), AIT operated in Bloomington for almost fifty years, creating educational television programming for National Educational Television (NET) and later PBS. The organization saw itself as leader in developing educational material for a television age and believed that evolving televisual technology could, according to one AIT catalogue, “complement traditional teaching by providing ‘field trips’ through time and space, demonstrations, and simulations.” A shift in emphasis from “television” to “technology” in 1984 marked the expansion of AIT to include development of instructional materials for computers and other technologies. 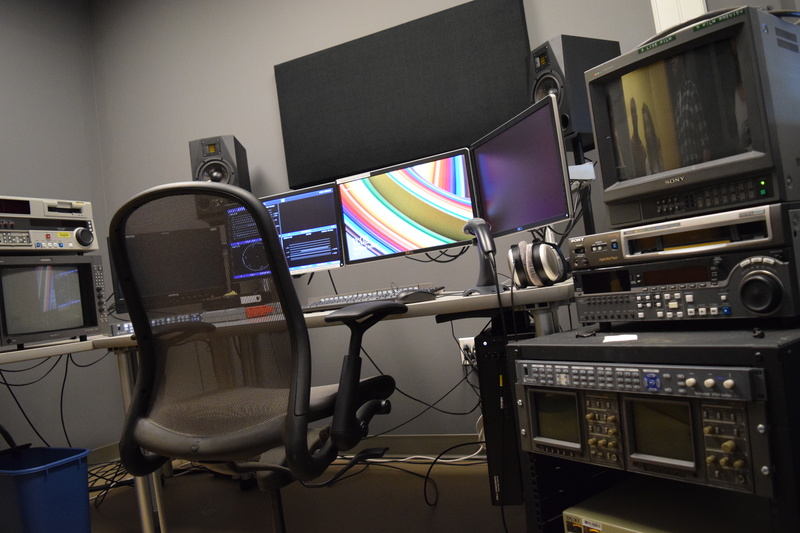 The mission of AIT paralleled the various audio-visual instructional activities at Indiana University’s own Audio-Visual Center (AVC) and the NET Film Service, which, through a network of collaborative efforts, produced and distributed educational programming for nearly half a century. 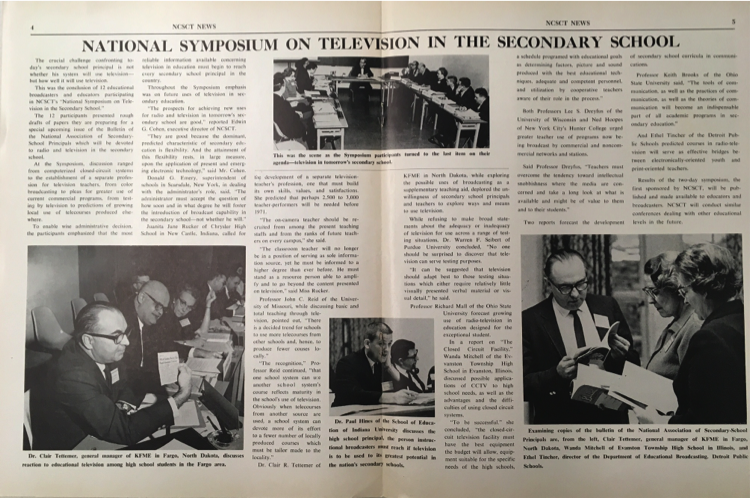 National Instructional Television Library newsletter detailing a symposium held at Indiana University in the 1960s. AIT’s collection is an important resource for historians working on non-theatrical moving images, since it provides an extensive resource evidencing the process of educational media production, particularly as it transitioned from film to broadcast television and video. While much of the writing on educational film, such as in Learning with the Lights Off (2012) and Useful Cinema (2011), has focused primarily on earlier periods of the history of educational media, the materials from AIT extend that history into the video, digital, and computing era, offering a glimpse into the cooperative development of educational audio-visual production and programming. The collection will ultimately provide researchers with access to the inner workings of a specific education and media organization, which was part of the vast and complex network of filmmaking and videography professionals, programming and distribution sites, and innovation in educational media production. 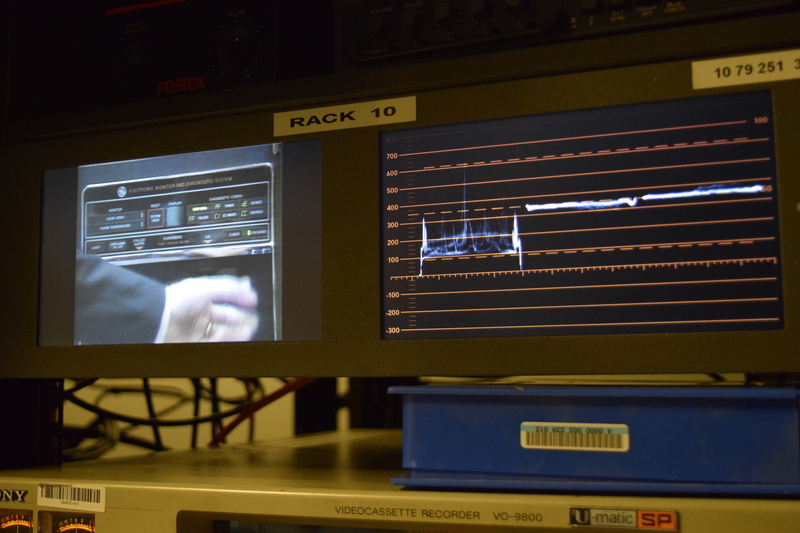 The materials acquired from AIT by the Moving Image Archive include not only items such as distribution masters that show a final product, but also raw footage, unedited interviews, and audio recordings that were the building blocks of educational programming. 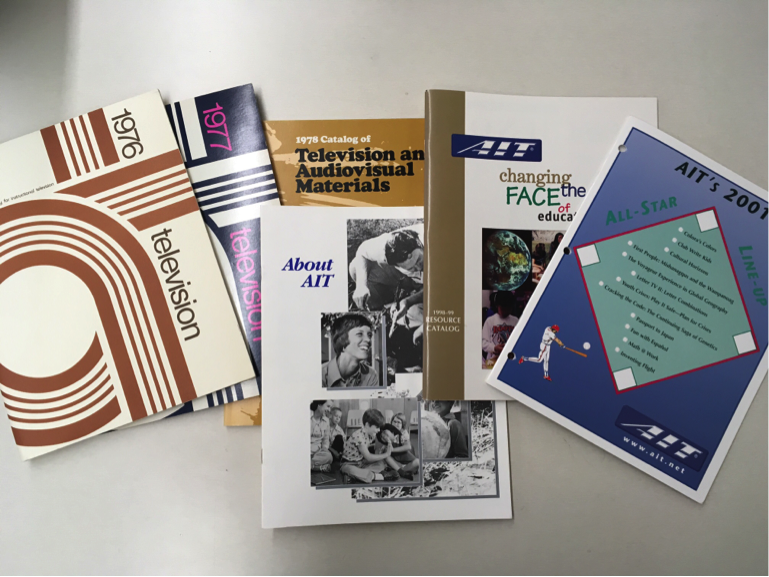 Along with these materials are important papers and photographs that help tell the story of AIT as an institution—from the actual program-making process that included scripts and contracts to files containing the profiles of professional actors who specialized in the field of educational programming performance. AIT’s catalogue collection. Along with these catalogues are over one hundred boxes of paper materials from AIT’s offices. 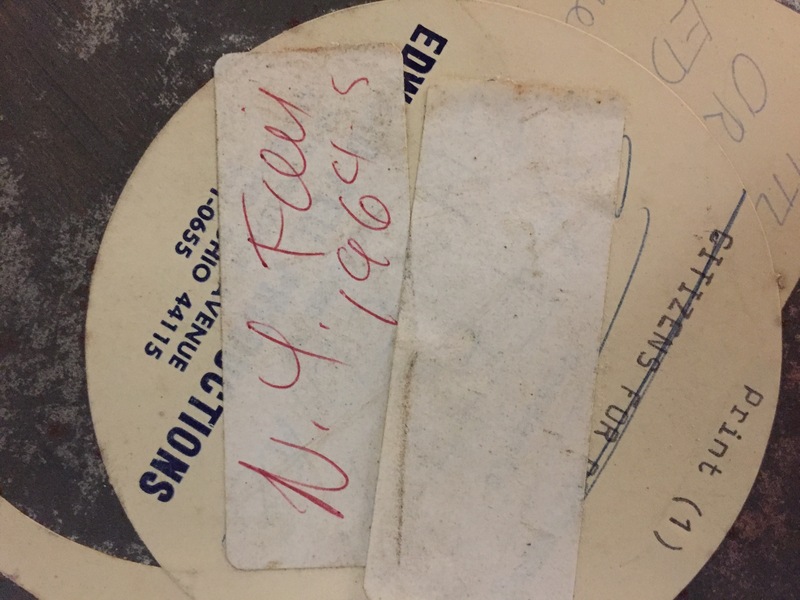 The acquisition from AIT couldn’t have come at a better time, since the Media Digitization and Preservation Initiative, which was announced in 2013, has been aiming its digitization efforts toward the preservation of audio and video recordings that exist on bygone formats that are now in danger of complete obsolescence or degradation. Stay tuned for the next blog post, where we’ll describe in more detail the digitization process these media materials have been undergoing! If you have questions about the collection or would like to schedule a research visit, please email iulmia@indiana.edu. Those of us at the IU Libraries’ Moving Image Archive know the feeling,the past few summer months saw your unbridled sense of freedom, your unabashed delight as you frolicked free from classrooms and quizzes. But now school is back in session and you’ve got to tame your wild spirit. Well fret not, the first Social Guidance Sunday of Fall 2016 will have your tail wagging and your whiskers twitching with fun educational films about animals! That’s right, the cat’s out of the bag, this month’s set of 16mm films is a medley of animals and genres. Starting out with some important lessons that are applicable to animals and humans, we have included films that will help you navigate conversations with all sorts of species. First up we meet Skipper, a dog who expresses some racist tendencies – lame! But have no fear, as a 1952 educational film, Skipper has become a social media pariah among film archivists on social media – hey, we have to have somethingto get excited about! Before there was Grumpy Cat, we had Tommy Cat (1974, 8 min). Tommy Cat doesn’t like being a cat anymore and wants to try out a new species for a change. Created by Moreland-Latchford Productions, a Canadian film company, this is part of a double-ending animal film series. These films – with titles like Tubby Bunny and Tuffy Puppy – were created to help primary school children consider the implications of decisions and how each ending would impact the story. If you think communication among animals can get tricky, just think about how human scientists try to do it! 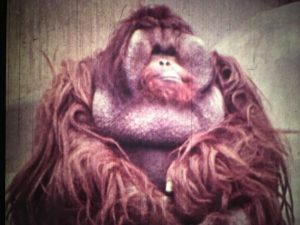 Wild Science: Communicating with Animals (1976, 11 min) illustrates two successful experiments involving communication between human researchers and animal species. There’s Morgan the pilot whale to the rescue if we needed a torpedo retrieved and disarmed and then there is Lana the chimpanzee who can communicate intelligently but gets a little existential at times. Like humans, animals can be very competitive. Especially when it concerns their children! In Farmyard Babies (1978, 7 min), we meet Molly the farm dog, tasked by the farm animals to check up on all of the new baby animals and decide who has the cutest offspring. I won’t spoil anything but I’ll warn you that Molly may be a bit biased (not like Skipper, though!). When you’ve visited a zoo, do you ever feel like the animals are watching you? A Zoo’s Eye View: Dawn Til Dark (1973, 10 min) proves that in fact, they are. What can we say, you are some fascinating creatures! There are plenty of classroom films featuring zoos and some can be very upsetting but this film makes you remember a day at the zoo fondly. In a more melancholic nostalgic note, the penultimate film provides a non-narrated meditation. Not your typical educational classroom film, Scatsophrenia (1976, 11 min) provides a cat’s eye view of the city at night and a daydream of being a wild tiger. Combining several musical influences from John Lennon to jazz, this film may resonate with your more animal side. We conclude “Animal Sense” with a black and white film from 1932 called Under the Sea. If you are familiar with nature documentaries, especially Jean Painlevé’s work, you may recognize this kind of style. Admittedly, an older, black and white film may not be a barn-raising hoot, but before you go to the water trough, listen up for a soundtrack composed specially for this film. This musical accompaniment will be performed by Andrew Slater. As you can see, we’ve packed the program with some strange, silly, sensory-exciting films featuring our furry, slippery, smart animal friends. Come hang out and play Bingo based on these films! Please consider bringing a donation for My Dog is My Home Service Day! On November 6th from 9AM-noon in Seminary Square, there will be services for homeless people and their animals – veterinary check-ups, grooming, etc. Please bring food, toys, and other care supplies! This is the first of an irregular series where we interview researchers who use the collections from the IU Libraries’ Moving Image Archive. 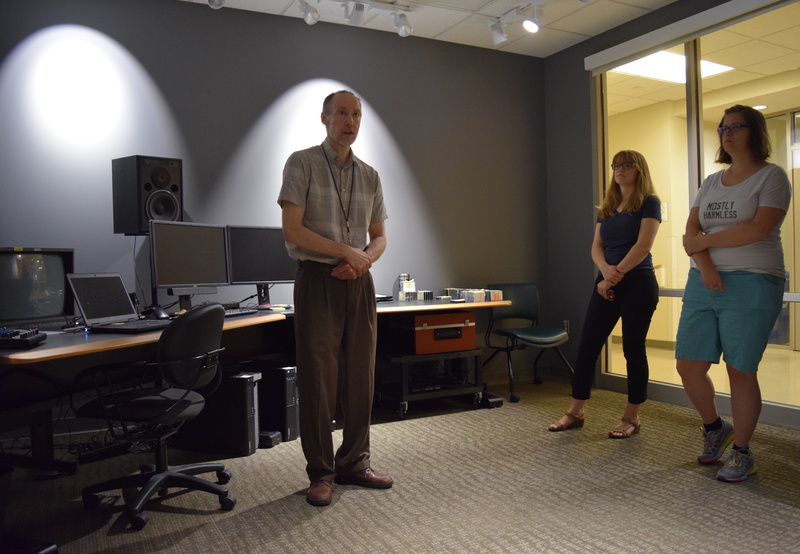 We hope that these interviews help shed light on the connections between researching moving images and other types of archival materials, as well as promote the incredibly interesting scholarship of the faculty and students who watch our films. Our inaugural researcher is Denisa Jashari, who is a PhD candidate in the History Department here at Indiana University. Q: What is your dissertation about? A: Broadly speaking, my dissertation investigates political, social, and cultural organizing in Santiago’s southern shantytowns during the civil-military dictatorship of Augusto Pinochet (1973-1990) and the decade of Center-Left democratic rule that followed (1990-2002). My research suggests that throughout its rule, the military government drew heavily on a spatialized understanding of urban geography to link shantytowns’ physical marginality with a discourse that emphasized their innate undesirability with respect to a new, “modern,” Chile. The literature on shantytowns has a tendency to present poor, urban dwellers as empty referents for all sorts of depictions, including as the lumpen of urban decay and deindustrialization, as dangerous and threatening, or as having the potential for social upheaval and political action. I engage the seemingly esoteric concepts of lumpenproletariat (the underclass) and abjection, but I unbind them from dogmatic Marxism on one hand and psychoanalysis on the other to argue that as operational concepts of elite actors at the time, these concepts reveal the processes through which the dispossessed individual has been constructed. While on one hand I trace the multiple strategies deployed by powerful actors such as the state, NGOs and political parties in their attempts to control the poor or ascribe certain qualities onto them, on the other, I showcase how dwellers’ multiplicity of protest and cultural activities forged a distinct political culture to counteract different forms of exclusion. My dissertation project combines historical methods with elements from critical geography and provides vital insights into the interplay between neoliberal governance and poor urban politics during dictatorship and democracy in Chile. Ultimately, my research engages the ways in which neoliberal governmentality has reshaped the relationship between individuals and the body politic. 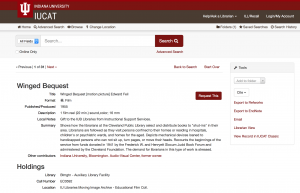 Q: What’s your larger experience with archives in your dissertation research? What other archives have you consulted in your research? A: My history dissertation combines archival and oral history research. When I am not conducting interviews, I spend most of my time tracking down archival sources from the 1970s through the early 1990s. Usually the hunt for documents takes me all over Santiago and to places such as the National Library, the Archive of the Administration (ARNAD), Catholic parishes, and the offices of various NGOs who produced lots of material on shantytown socio-cultural and community organizing. Most of my sources are “unconventional” for a historian, and given that my project deals with very recent history, including the dictatorship, the material I seek is often not in archives but in people’s homes and private collections. 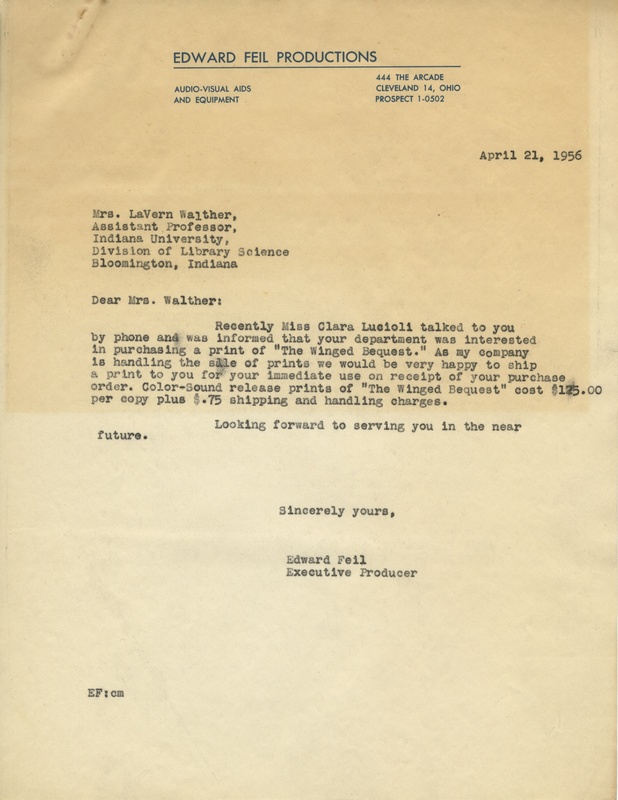 Some archival finds are purely serendipitous while others take a lot of time and effort, and depend on your ability to make contacts in the academic and larger community. I have had the most difficulty tracking down maps of Santiago from the 1970s and the 1980s, especially maps that actually mark the location of shantytowns (a more accurate term is the Chilean poblaciones). While some collections are digitized, most of the sources I need are not, so I have to travel to Chile often. Q: What film(s) did you watch at the Moving Image Archive? A: I watched Campamento, a 28-minute documentary film on the struggles to establish formal recognition of the shantytown Nueva Habana in Santiago, Chile. Q: How did you find out about this film? How is it related to your topic? A: Professor Jeffrey Gould, a member of my dissertation committee, first mentioned the film to me. He urged me to find it. I realized that IU had a 16mm copy of the film and I requested to watch it. Campamento is a documentary filmed between 1970 and 1972 in what was then an illegal settlement called Nueva Habana. The film explores the role of the Movement of the Revolutionary Left (MIR) in dwellers’ struggles to receive legal titles to the land and to formally create a shantytown by the same name. For me, it was important to have actual visual evidence of the process by which the urban poor organize themselves and their spaces. Having access to such rich visual material from the early 1970s and being able to watch community organizing for housing rights, education, and self-government was really moving. Campamento speaks directly to my interests in shantytown organizing, community solidarity, and the role of Left parties therein. Q: How did you find out that the Moving Image Archive had the film? A: I initially searched for Campamento in IUCAT and discovered that a 16 mm single film reel was being held right here at IU. 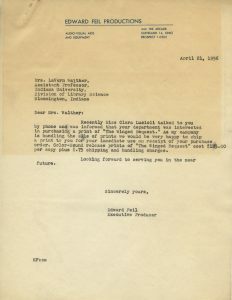 Once I requested the item, I received an email from Andy Uhrich, Film Archivist at IU Libraries Moving Image Archive. Andy and I set an appointment at the Moving Image Archive where he demonstrated how to use the equipment and made the whole experience of handling film much smoother! Q: What did you learn about your research topic by watching the film? Did anything in it surprise you or reveal new aspects of your research topic? Did it open up new questions that you need to research further or answer any questions you were already thinking about? A: Campamento reinforced my initial interest in space and how people both structure and navigate the spaces they construct as well as the larger city landscape. The footage of the process by which residents took over a plot of land and combined the populations of three campamentos (settlements) into the Nueva Habana población was particularly enlightening. The film inspired me to observe visual documents more carefully and to think about where certain institutions are located in relation to one another and to people’s homes. For example, the placement of the neighborhood council, the local parish, or the school is not accidental, neither is the naming of a certain población. The name of the shantytown, “Nueva Habana” or “New Havana” speaks to political affinities with the Cuban revolution. Shantytown dwellers continue to be stigmatized because they inhabit places that are perceived to be marginal and thus “inferior.” I cannot emphasize enough how helpful it was to actually see the tin-covered roofs of people’s homes, the dirt roads, and most importantly, the courage and dignity with which people fought for their right to live. Such observations inspired by Campamento will help me ask better questions to my interviewees. 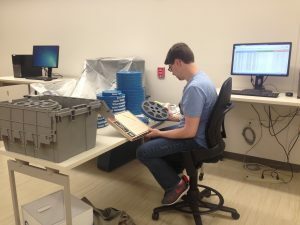 As I have mentioned in my previous blog posts, my summer has consisted of inventorying and researching the Edward and Naomi Feil Collection here at Indiana University Libraries’ Moving Image Archive. Just last week, I moved from inventorying the films to wading through the papers in the collection. 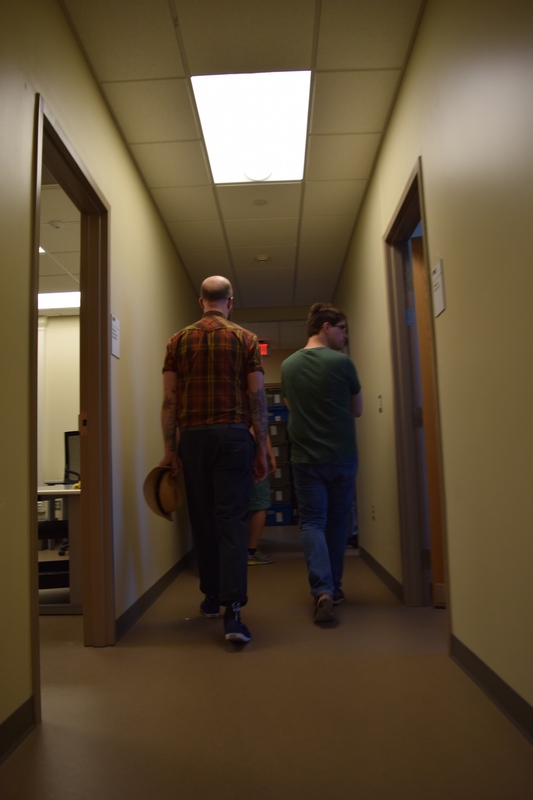 At first, combing through the papers didn’t seem that enticing of a task because inventorying the films had proven to be such a fascinating and moving experience for me not only as a media archivist but as a human. I have been given the chance to examine the artistic process of a filmmaker whose passion burned so hot with his love for cinema that even his home life seemed like a film set. He could even make something like a cashmere factory look cinematic. That being said, I moved onto the papers anyway and I was proven wrong. The papers gave me an even more detailed look into the world of Edward and Naomi Feil. Ed kept many interesting things that will ultimately prove to be equally as beneficial in understanding why he became a filmmaker and how he made his films. 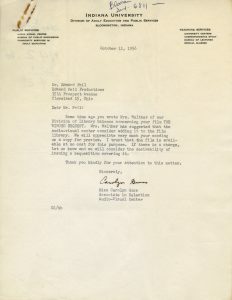 He also kept some of the correspondences he had with academic institutions who were interested in either purchasing or renting his educational films. 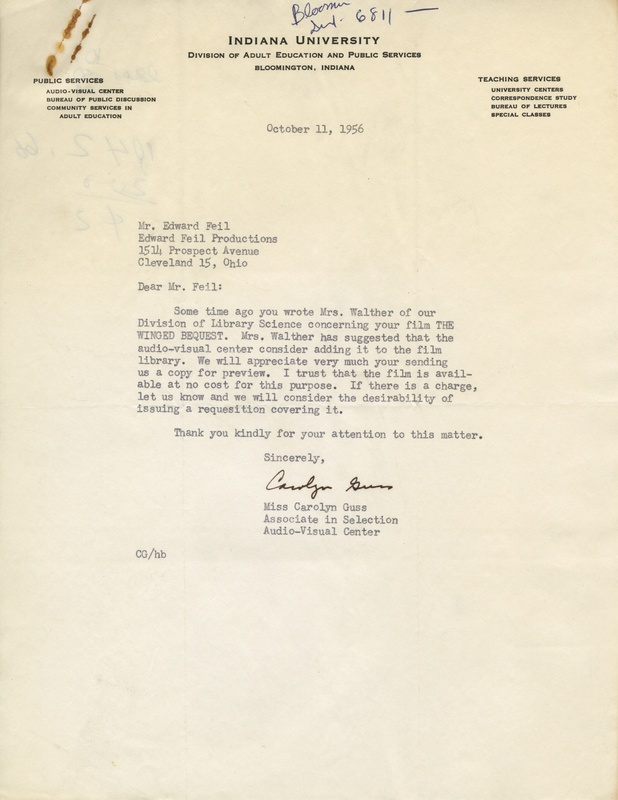 This proved to be quite serendipitous for us here at Indiana University Libraries’ Moving Image Archive because some of these correspondences connected Edward Feil directly to Indiana University’s Division of Library Science in 1956. 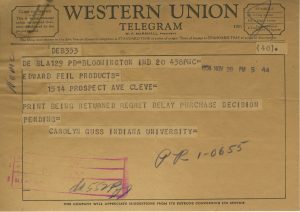 Below in chronological order are the correspondences between Carolyn Guss who was the Associate in Selection, Audio Visual Center, LaVern Walther, an assistant professor within the Divison of Library Science and of course, Ed Feil. 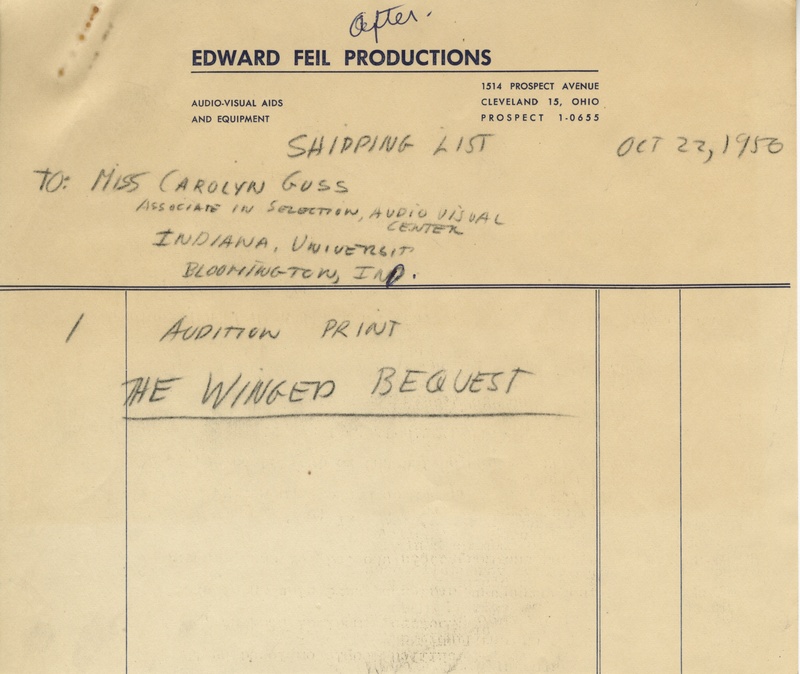 On April 21st, 1956, Ed wrote to Lavern Walther explaining that he had been informed by phone that the Division of Library Services here at Indiana University was interested in purchasing a print of a film made about libraries, The Winged Bequest. 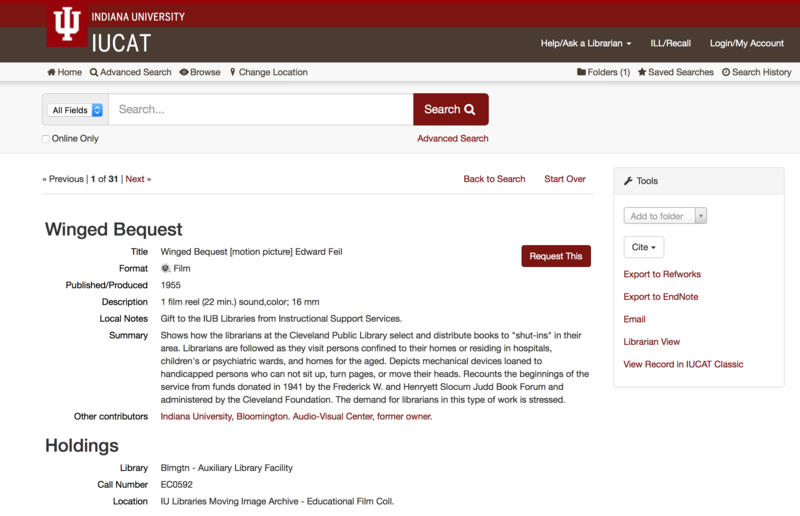 This film centers around the services libraries can offer to help the handicapped and those who could not leave their homes to go the library. 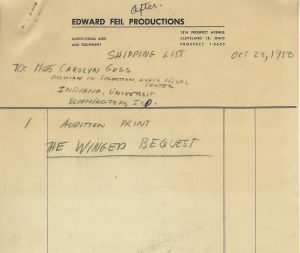 Upon reading the telegram, I was saddened by the response from Carloyn Guss knowing that The Winged Bequest was and still is a film that speaks for the handicapped and the wonderful services libraries can offer for them. 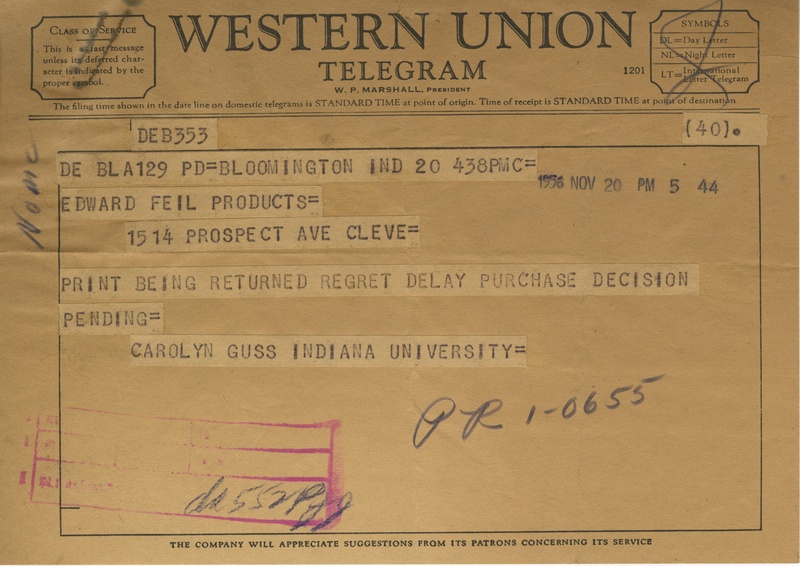 Then I realized that even though the final correspondence between Carolyn and Ed seemed to be missing, I could check IUCat and see if the film was in the audio-visual collection here at Indiana University. There it was! We had the answer all along! Issue of Business Screen magazine on films at the World’s Fair found in the Feil Collection. Last week I mentioned that the research we are doing on the Edward and Naomi Feil Collection here at Indiana University Libraries’ Moving Image Archive has lead to the discovery of something very unique within their home movies. 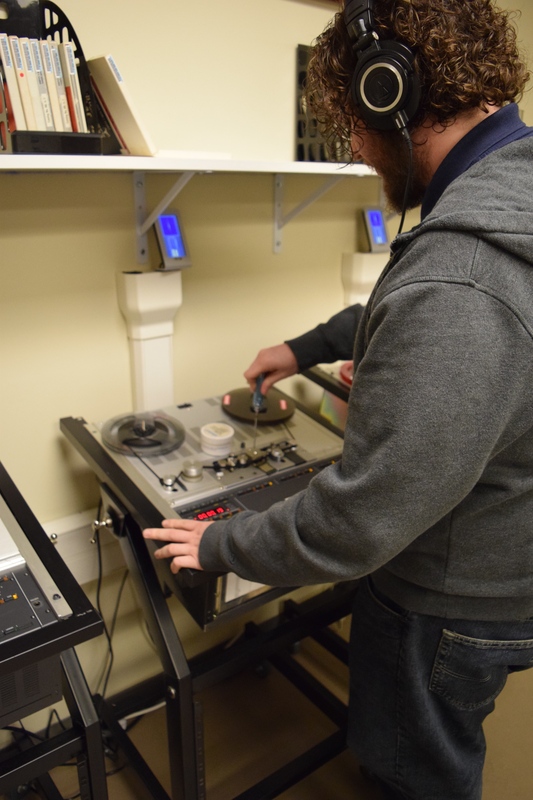 First, a short back story; as a graduate student of NYU’s Moving Image Archiving and Preservation program, I had the opportunity to visit the Library of Congress Packard Campus for Audio-Visual Conservation in Culpeper, Virginia back in February. On the last day of our five-day tour of the campus, my cohort and I were treated to a screening of a restoration of a very unique film that debuted at the 1964 World’s Fair in New York, Think. 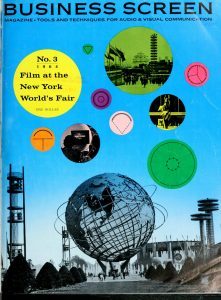 The film was created by the famous designers and artists Charles and Ray Eames for IBM’s pavilion at the World’s Fair. It was exhibited on nine screens in the same theatre. There are two versions of Think, the 1964 version and the 1965 version. We saw the 1965 version in February and it’s a film you don’t forget. The 1964 version has been difficult to reconstruct due to the fact that no record exists of how it was exhibited. 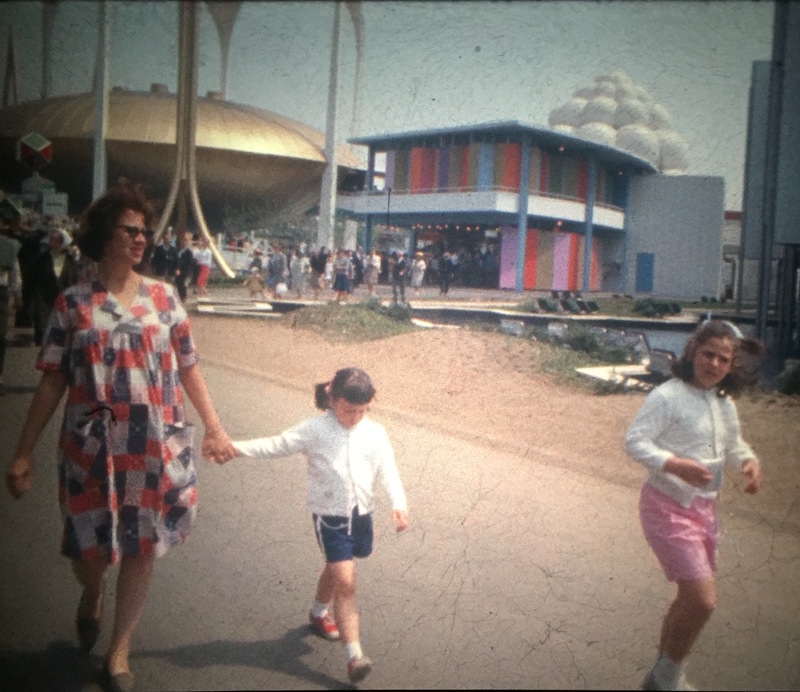 Within the home movies of Edward and Naomi Feil exists footage from the 1964 World’s Fair. Ed never put his camera down and that included when he went into the theatre to watch Think. Thanks to Ed’s penchant for filming everything we now have three minutes of the 1964 version of Think as it was shown in the theater. 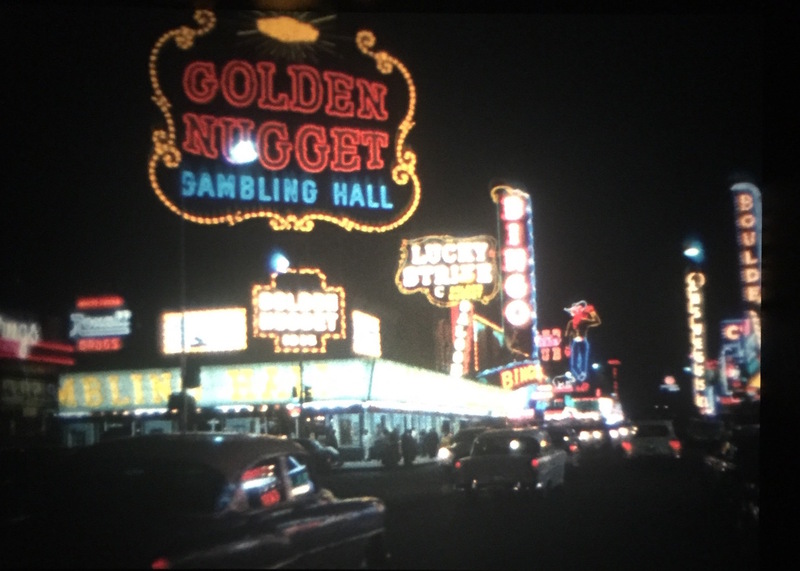 Ed Feil spliced all the reels he shot from the World’s Fair in sequence as he did with every trip he went on. I noticed the footage right away when I was inspecting the reel because the Ektachrome color reversal at the start of the reel changed to a black and white Kodak stock. I would bet my life on it that Ed knew about the film being shown at the World’s Fair and intended to shoot footage of the film as an eternal lover of cinema. As evident when watching the entire reel, the black and white portion in between the rest of the Ektachrome had a much higher ISO. 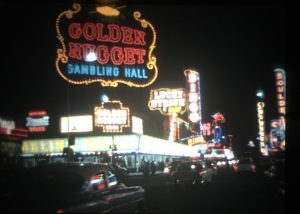 Ed changed the film in his camera while he was still in the theater, films another thirty seconds or so on the Ektachrome reversal and Think becomes muddled due to the lower ISO. 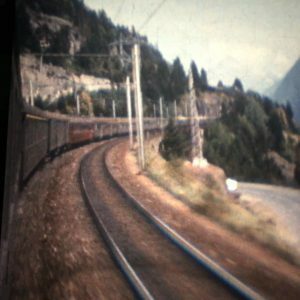 As soon as I noticed this unique footage, I contacted George Willeman, the Nitrate Vault Manager at the Packard Center and he exclaimed that “the big deal with this home movie is that it is (far as we know) the only footage of the 1964 version of Think. 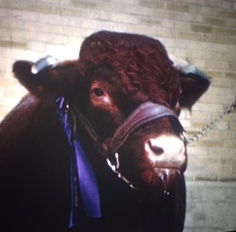 He also went on to say that this home movie “is going to make us re-think our restoration!” I am beyond thrilled that the work we are doing here at Indiana University Libraries’ Moving Image Archive is leading to exciting and pivotal discoveries such as this. Original label on the can the “Think” footage was found in. Lastly but not less important was the discovery of what may be the most endearing home movie ever filmed by any person ever. Ed and Naomi Feil got married in 1963 and went on their honeymoon to the Bahamas. Much like his official productions, Ed went into this with a vision and edited together the most beautiful cinematic love letter to Naomi. 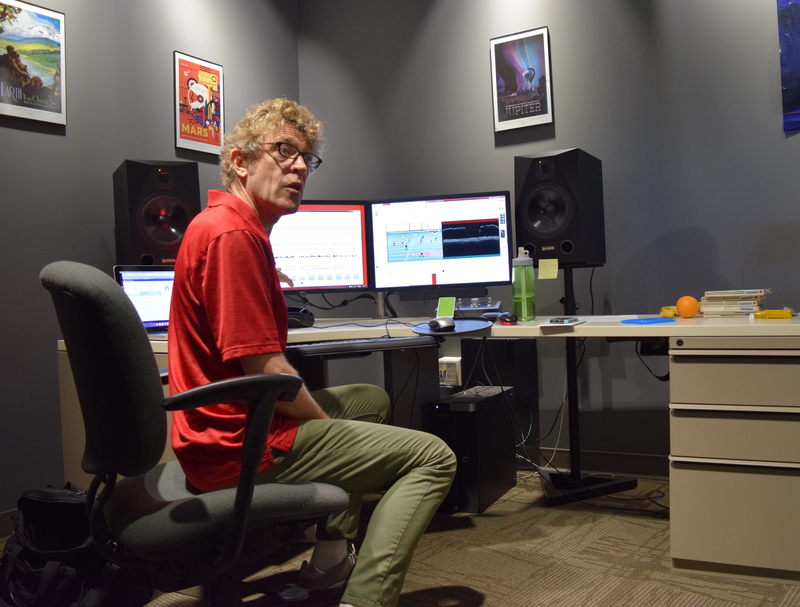 Ed saw no line separating his official productions and his home movies. Ed composed this film the same way we composed the rest of his productions and set the film to music. I cannot wait to make this accessible to you all one day. As evidenced by my blog posts there are many exciting things to come with the Edward and Naomi Feil Collection. Last week I alluded to the fact that Ed Feil was not your average filmmaker. He put great care into every production he made for Edward Feil Productions and the same went for his home movies. As early as 1939, Ed was making his own productions at home on 8mm, editing them and creating his own title cards. 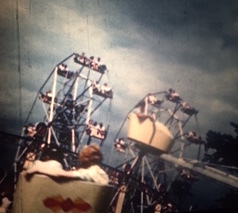 By the time Edward Feil Productions began in 1952, with the production materials at his disposal, he was shooting all of his home movies with his family and friends on 16mm film. By the 1970s, with his clap board in hand, he was recording sync sound on magnetic track at family gatherings. In the 1950s and 1960s, Ed and his family traveled all over the world and by the looks of it, filmed everything. 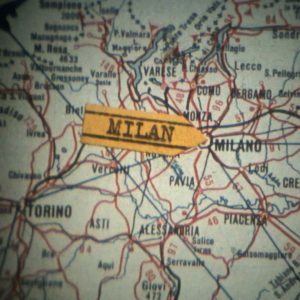 Here at the Indiana University Libraries’ Moving Image Archive we have in our possession hundreds of feet from many exotic places: Paris in 1945, Vienna in 1946, Mardi Gras/Miami in 1954, Las Vegas in 1956, Hong Kong/Rangoon/India/Afghanistan in 1956, Milan/Venice Florence/Rome/Capri/Switzerland in 1959, the Bahamas and Denmark in 1963, both New York World’s Fair 1939/1964, Mexico in 1967, Bermuda in 1969, New York and Puerto Rico in 1972, and Disneyland in 1970/1979. All in color. This doesn’t even include the countless family events that Ed has filmed over the years, some have a matching magnetic track. Next week we will take a look at more of Ed’s home movies and how the inventorying of this collection has led to Indiana University Libraries’ Moving Image Archive assisting the Library of Congress in research for a restoration they are working on. Meet Our Summer Intern Robert Anen! Hello! My name is Robert Anen and I’m a graduate student who’s currently enrolled in NYU’s Tisch School of the Arts, Moving Image and Preservation program. At the moment I am halfway through the program and as a requirement, I have to intern throughout the summer. This has landed me here at Indiana University Libraries’ Moving Image Archive. This week marks my fifth week here and I have five more to go. While I’m here I will have a chance to witness the inner workings of a moving image archive for the very first time in my career. Indiana University Libraries’ Moving Image Archive has also moved into a beautiful new space on the ground floor of the Wells library so it shall be a new experience for both the archive and me. I have been assigned to the Edward and Naomi Feil Collection while I’m here. Edward Feil created Edward Feil Productions in 1952 and continued to make films into the 1990s. From the more than three hundred film reels we have already inventoried here at Indiana University Libraries’ Moving Image Archive, we can tell you that Ed has made films for multiple industries since the creation of his production company. These industries include the surgical field, mechanical engineering, dental, nursing, the librarian field, fashion, art, gerontology, and municipal development. Edward Feil Productions was based out of Cleveland, Ohio and towards the late 1960s Ed’s wife, Naomi, was involved in the filmmaking process. She researched, wrote scripts, starred in, filed the copyrights and later went on to edit some of Ed’s films. Though the collection is far from being completely processed, from what we already know, Naomi‘s involvement helped shape the direction that Edward Feil Productions would move in as time moved on. Naomi Feil is a social worker who is still active today and helping people all over the world. In fact, that seems to have been the mission of Edward Feil Productions, help people. Naomi developed a method to communicate with people who have Alzheimer’s disease called The Validation Method. This led to many successes for the Feils and a number of the films that Ed created for his company involve Naomi using the Validation Method on elderly patients. 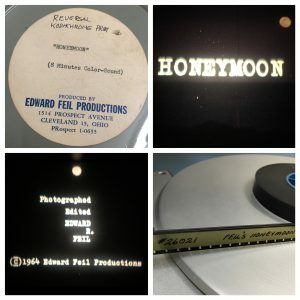 This is just a very brief overview of the discoveries we have made as we work on the Edward and Naomi Feil Collection here at Indiana University Libraries’ Moving Image Archive. I’m so fortunate to be part of this archival family. I will be posting more updates in the near future on the Feil Collection and the many goings on here at Indiana University Libraries’ Moving Image Archive. Until then, I will be enjoying this gem of a town, Bloomington, Indiana. TOO COOL FOR SUMMER SCHOOL! Social Guidance Sunday is Back for a Special Summer Edition! See it at 8pm on July 10th at the Bishop Bar in Bloomington. It’s summer time but that doesn’t mean a break from Social Guidance Sundays! “Too Cool for Summer School” will have you humming along to a song with Smokey the Bear, preparing your next lemonade business venture, and practicing your frisbee throwing skills. You may even want to enter your prize watermelons and farm animals into the Indiana State Fair! This special summer program visually captures all of the fun summertime activities while gently teaching you about the perils of sun damage and the need for fire safety. There are plenty of amazing feats, delicious treats, and sporting meets to entice you! As you prepare to embark on your summer adventures, there is one big factor to prepare for — the sun! If you are going to indulge in some fun in the sun, consider our first film, Sun – Friend or Enemy? (1949, 5 min.). Getting a tan may seem appealing, but you don’t want to look like a roasted hot dog! Once you’ve lathered up with sun block, you will be partially prepared to start your lemonade business. However, you will want to watch Lemonade Stand: What is Fair? (1969, 13 min.) to consider fair practices when it comes to going into business with your buddy or your brother! As you may already know, it is a customary characteristic of a Hoosier to attend the Indiana State Fair. While the state fair took a break during World War II, it re-emerged in 1946 with plenty of exciting features. Your Indiana State Fair (1947, 22 min.) will make you feel like you are walking among the prize-winning farm animals, playing carnival games at the Midway, and eating cotton candy. This film is so realistic that we’ll offer a short intermission for you to go get another drink! The program will return with a familiar face, Smokey the Bear, as well as “The Voice of RCA,” singer, actor, and writer, Vaughn Monroe. Both of these celebrities caution about protecting the forest from wildfires caused by careless behavior in A Vision in the Forest (1957, 5:20 min.). Vaughn Monroe’s soulful singing will certainly put you in the mood for the next film, Seasons of Sexuality (1980 14 min.). This film reminds us what summer is really about: hanging out at the beach, spending time with people you love, and shedding your inhibitions (and perhaps clothes!). 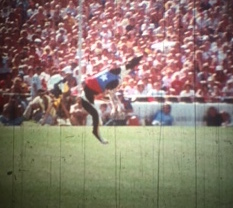 On that note, we close the program with the 1977 World Frisbee Championships. What was probably a stressful competition for these frisbee players looks effortless as they gracefully throw discs across the field. Floating Free (1977, 11 min.) will put you in a summer mindset. For more information on this event and to let us know you’re attending please read visit our Facebook page for the event.